San Francisco Sep 14 (IANS) Mahindra & Mahindra India s leading manufacturer of utility vehicles and part of the $20.7 billion Mahindra Group on Thursday announced its commitment to become a carbon neutral company by 2040. For this the company will be working with Environmental Defense Fund (EDF) to meet its carbon neutrality commitment. Mahindra & Mahindra will focus on energy efficiency and the use of renewable power to achieve this target. Residual emissions will be addressed through carbon sinks the company said. "We are doing our part in the global fight against climate change with this ambitious new target. 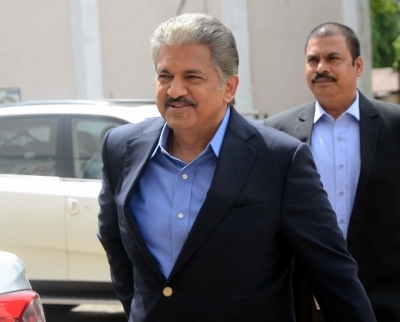 Mahindra will leverage the latest technological advances and its recently announced carbon price to work towards being carbon neutral by 2040 " Mahindra Group Chairman Anand Mahindra said. He is in this California city to co-chair the Global Climate Action Summit (GCAS) that aims to encourage all stakeholders to raise their ambition with many new possibilities emerging out of the discussions. Mahindra & Mahindra was the first company in the world to commit to doubling energy productivity by signing on to The Climate Group s program EP100. "We have already seen remarkable value in reducing emissions through the EP100 program which aims to double energy productivity in our main businesses -- auto farm equipment and holiday resorts " Mahindra told IANS. He said science-based targets are a way of ensuring that ambition is stepped up and action is aligned to the target set by the 2015 Paris Climate Change Agreement. Using energy efficient lighting efficient heating ventilation and air conditioning motors and heat recovery projects Mahindra & Mahindra has doubled the energy productivity of the automotive business almost 12 years ahead of schedule the company said. The farm equipment business is also ahead of schedule in achieving its goal and is more than half-way there it said. The company was also the first Indian company to announce its internal carbon price of $10 per ton of carbon emitted to fund investments required to pursue the path of carbon neutrality. The price was carefully arrived at on the basis of international benchmarks and an assessment of what was required to achieve the goals set by the business on energy efficiency and renewable energy. The company is also a signatory of the science-based targets initiative which provides companies with a clear pathway for reducing emissions in line with the Paris Agreement s goal of limiting global warming to well below two degrees Celsius above pre-industrial levels. All these commitments are helping the company on its path to go carbon neutral. "By pledging to reach carbon neutrality in its operations Mahindra is sending a clear message that investment in climate-smart growth is good for business. This commitment can unlock collaboration innovation and results " Senior Director for Global Climate at Environmental Defense Fund (EDF) Richie Ahuja told IANS. The EDF is a leading international nonprofit organization creates transformational solutions to the most serious environmental problems.